Hepatitis C symptoms are often absent and people in many cases do not feel any discomfort, so it is much more difficult to determine the exact diagnosis. 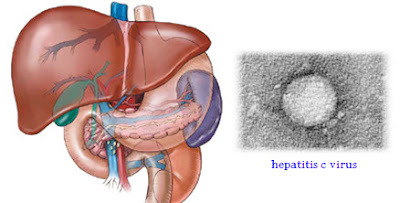 Acute hepatitis C lasts up to six months and often do not cause any symptoms or are manifested in the form of fatigue, jaundice, itching, abdominal pain, loss of appetite, dark urine, elevated body temperature. Chronic hepatitis C is usually discovered by chance, it happens that it has been concealed for years and that the symptoms of hepatitis C occur only when there is severe damage to the liver. In addition to the liver, affected are other systems and organs, and the problems that accompany the disease are fatigue, significant weight loss, joint pain and muscle pain, itching, nausea, diarrhoea, depression, headaches, sleep disturbances. Frequent infections lead to permanent liver damage and serious diseases such as cancer and cirrhosis. It is a heavy viral infection of the liver caused by the hepatitis C virus (HCV), which in many cases takes the chronic form. Every year more than 350,000 people in the world die of liver disease associated with HCV. As in the case of hepatitis B, hepatitis C virus is known as the "silent killer" because of the years a person can be a carrier of the virus, but it does not feel discomfort. Transfers are only through the blood of an infected person (joint use of needles, from mother to baby.) As was mentioned earlier hepatitis C symptoms are often absent which complicates diagnosis. HEPATITIS C VIRUS - WHAT ARE THE RISK FACTORS? Alcoholism: Uncontrolled consumption of alcohol helps hepatitis C virus to rapidly accelerate the process of liver failure and thereby reduce the effectiveness of therapy. Two or more drinks a day can increase scarring of the liver and eventually lead to cirrhosis and liver cancer. So it is complete abstinence from alcohol is required. SMOKING: In the case of hepatitis C, smoking accelerates the expansion of the damage to the liver and increases the risk of cirrhosis and carcinoma. Having a bad influence on the lungs, the liver becomes less supplied with oxygen, which further exacerbates the situation, and recommended is a complete cessation of smoking. In the first six months the treatment of hepatitis is not carried and the body is given a chance to fight the infection itself. Modern therapy of chronic hepatitis C is quite effective, conducted from six to twelve months and about half of the patients are cured. If you are diagnosed with hepatitis c symptoms apply these rules in the diet: Everything ingested, including food, medicines and liquid, must pass through the liver, which, if damaged, needs more effort to smoothly perform vital functions. It is therefore very important that the body is relieved with appropriate diet that will prevent the spread of damage, and even provide a complete regeneration of the diseased part. Patients with hepatitis B and C should consume a sufficient amount of carbohydrates, proteins and healthy fats while those with cirrhosis and severely impaired liver have to undergo a strict diet and take care of virtually every bite and sip. One of the biggest enemies of the liver are unhealthy fats, trans-fats and obesity. Every morning on an empty stomach, and in the evening half an hour before dinner, drink a cup of tea from a clubmoss: a teaspoon of the herb is poured with 2 dl of boiling water. In addition, it is preferable to daily drink six sips of tea from the root of sweet flag and two or three cups of tea from nettle. Drink 3 times a day before meals one tablespoon of freshly squeezed juice of radish. Every day eat fresh salads of grated radish. Eat a salad of dandelion and drink tea from these herbs. Whey is a known folk remedy for cirrhosis and liver regeneration.